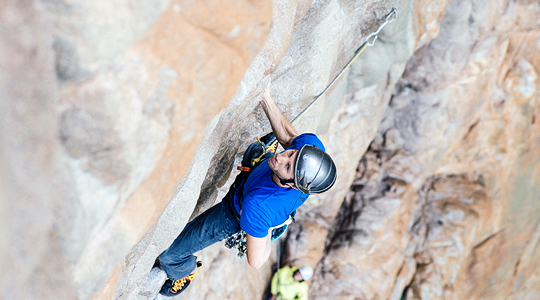 On March 20, Austrians Hansjoerg Auer and Much Mayr freed their new 400-meter route up the granite west face of Corsica's Capu Cascioni (1091m) at 5.13b, calling it Le Petit Prince. 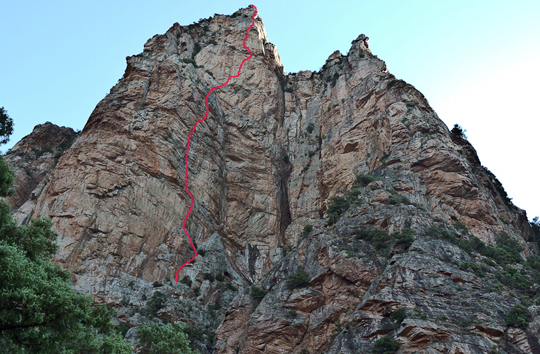 They protected the often-overhanging route with natural gear and 12 lead bolts (excluding belays) over the course of 12 stout pitches. Last autumn, Auer and Mayr were directed to Capu Cascioni by the French climber Arnaud Petit, who established Le Non-Sens et la Joie (5.13b) on Cascioni in a similar style with Jeff Arnoldi in March 2014. "Corsica is a place with lots of world-class granite walls, some of them big, some very small, but always incredible because of wind-shaped tafoni features," Auer writes. The Austrians spent three days wandering around the area in search of a challenging new line before finding a possible route just right of Petit's. Starting from the ground, the team spent the next three days preparing their route. However, they ran out of time and had to fly back home before making a continuous free ascent. They had hoped to return a few weeks later, but Auer crashed while paragliding and postponed the trip until this spring to recover. Two weeks ago the team returned to their project, and after three more days of additional work, on March 20, they completed the route's first free ascent. 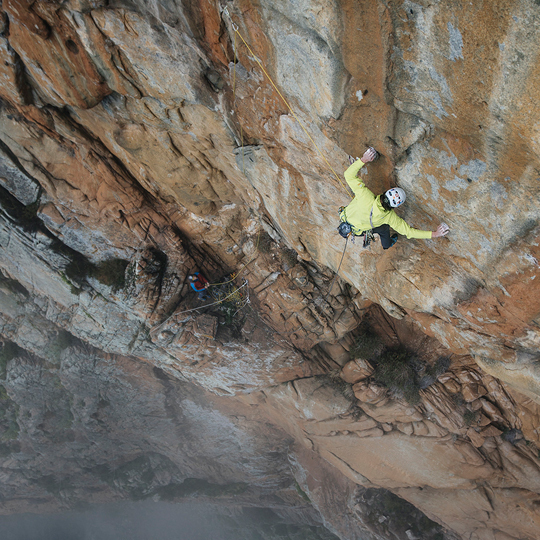 Le Petit Prince has three 5.10 pitches, five 5.11 pitches, three 5.12 pitches and one pitch of 5.13b.